New Year’s Resolutions! 2014 was a busy and a big year for me. There was a lot of good and a fair amount of bad. While I can’t completely ensure that the next year won’t hold a few bumps, I can work towards learning from the bumps that happened before. Balancing Work Life – I switched jobs this year to a new position at a new company that I was really excited about. The only problem for me is that I could never seem to manage separating my work and home life. There’s a big difference between checking your email a couple times while you’re at home and constantly refreshing to see if you have any messages. This is something I’m determined to work on this year. I need to find that happy middle ground. Investing in Myself – For me, this means a lot of things. One of which is saving more money for myself. I know the importance of having money saved up for a rainy day or a really bad one, but I have never been great at this in the past. I always found it difficult to tell myself no when push comes to shove, but this year I’m steeling my resolve. By the end of next year, I hope to have six months to a year’s worth of emergency funds saved up. This may not seem like a lot, but every little bit helps. Another way I want to invest in myself is in my closet. When I was younger, I always found it easier to stock up on inexpensive and poorly made items that did not stand the test of a second season. This year, I’m going to invest in a few expensive pieces that will last both the test of time and style. Here are some great pieces I plan to invest in this year. Move it – This is probably one on everyone’s list after a couple of heavy eating holidays weeks, but I really want to work on my exercise routines this year. Now, I’m not going to go out and immediately sign up for a gym membership and a personal trainer because I know I can’t stick to that. In truth, I may have tried it before and failed miserably. Instead, I want to work on small workout extras to try everyday. Maybe that’s taking the long route to work or doing an extra ten minutes on the treadmill, but it will be a constant and everyday effort. Those something smalls could add up to something big in the long run. Relax– I used to do this so well, but with my mounting stress levels, all of my usual go-to stress relievers haven’t been doing the trick. I need to work on finding new ways to take away the piles of stress that seem to mount after a few long and hard weeks. Whether it’s meditation, yoga, or some good old fashioned pampering, I will be working very hard this year to learn how to relax. What about you? What resolutions are you working on for the New Year? Wonderful New Year resolutions Brendy! It's a combination of mental and physical well being. Wishing you fulfillment in 2015 of all your goals. 🙂 Happy New Year! We share a lot of the same resolutions, I think I may need to add relaxing to my list as well. These are great resolutions. They're reachable and totally sane! Best of luck and love in 2015. I also need to work on separating work and home! Great resolution and happy new year! Great resolutions! Here's to 2015, may it treat you well! 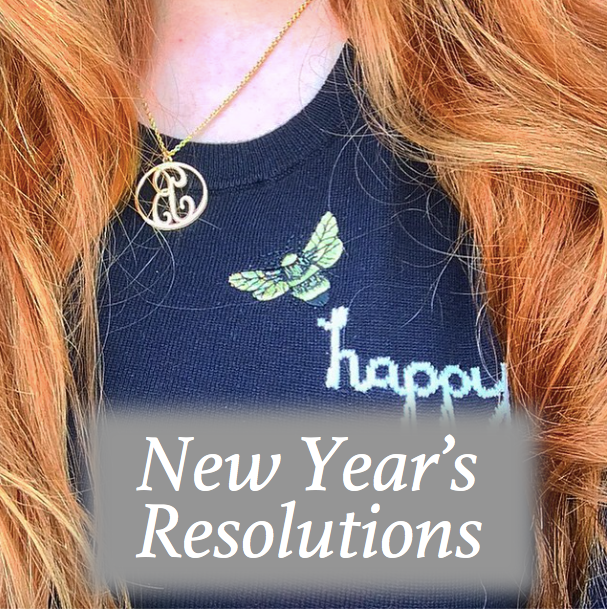 Wishing you much success in these resolutions this year, many of them are on my list as well! Happy New Year.